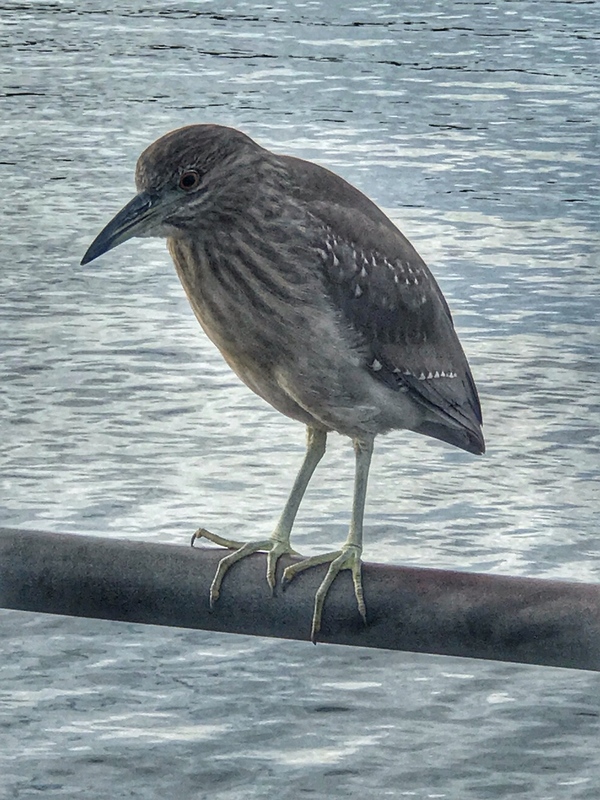 While fishing this bird was behind me waiting and watching. I caught a mackerel and it slipped out of my hand so I stepped out of the way and let the bird pick it up. Although the bird didn’t say anything I’m sure it appreciated a free and easy meal.